Little is as frustrating as damp permeating through walls and new decoration, especially when it keeps returning. Left unchecked it can lead to more expensive repairs. 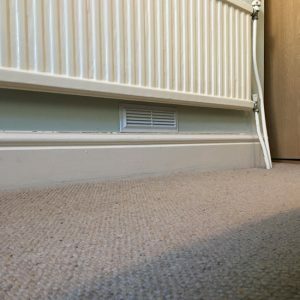 We get called to a number of properties each year where damp has penetrated a chimney breast wall, a stove is rusting or damp patches are developing on the ceiling/walls next to a chimney. Not only unsightly and worrying it is usually indicative of issues related to the chimney stack.Problems range from the simple such as a lack of cowl or adequate ventilation to more complex roofing issues and with a host of other causes in between. 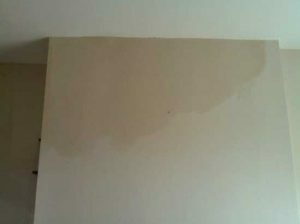 Sometimes a number of different repairs need affecting to solve the damp. We have the benefit of being able to use the latest CCTV cameras to examine the inside of chimneys to help identify problems. When central heating came into vogue open fireplaces were often sealed up, sometimes with inappropriate capping at the top and, importantly, with no ventilation fitted at the bottom. We now have a clever bit of kit that cuts a vent hole with a minimum of dust and mess. Here is one fitted in narrow opening. If you have a sealed up chimney breast with no ventilation give us a call.